This article is about the municipality in Italy. For the town in New South Wales, Australia, see Candelo, New South Wales. 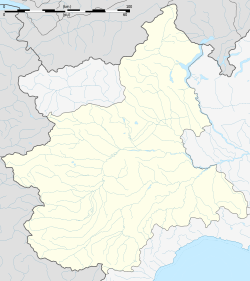 Candelo is a comune (municipality) in the Province of Biella in the Italian region Piedmont, located about 60 kilometres (37 mi) northeast of Turin and about 4 kilometres (2 mi) southeast of Biella. Candelo borders the following municipalities: Benna, Biella, Cossato, Gaglianico, Valdengo, Verrone, Vigliano Biellese. Ysangarda, a medieval archaeological site in the Baragge natural area. This article on a location in the Province of Biella is a stub. You can help Wikipedia by expanding it. This page was last edited on 13 May 2018, at 13:29 (UTC).